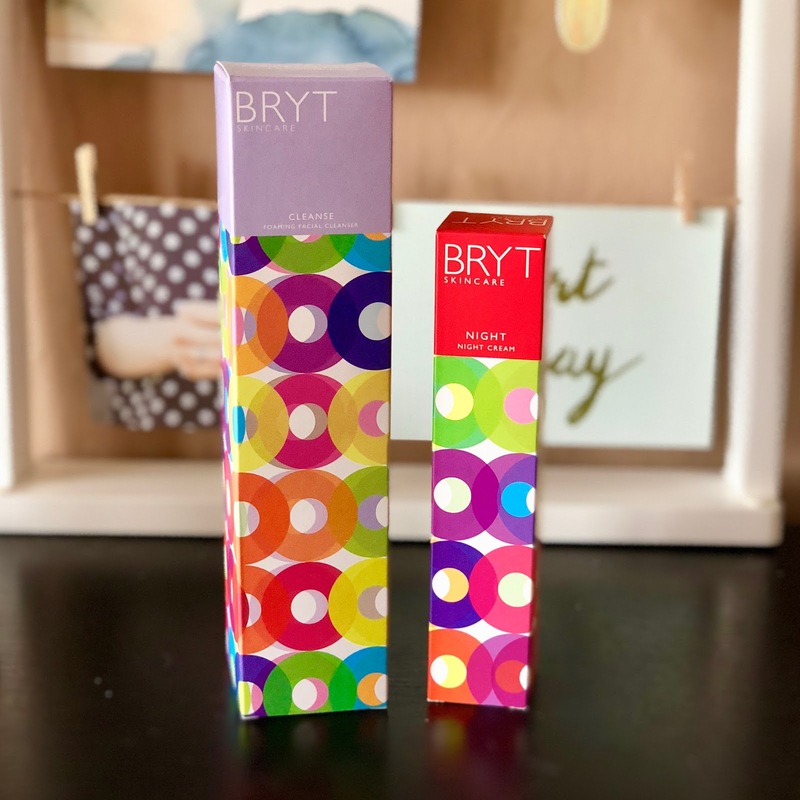 By the time I went to the Queensway Skin Clinic in Jesmond I felt I couldn't go out unless I was wearing makeup and so not only was I facing the fact that I was ageing I hated the red spotty swollen mask I seemed to be wearing on my skin. After having facial aesthetic treatment which I'm still undergoing Doctor Uzma Obrich diagnosed that it was indeed Rosacea. So, what's the answer to that? Well there's no cure for Rosacea but you can make things much better, there are a few products I've tried for all price-ranges so let me tell you about those before I move onto my actual prescribed skincare I've settled on. 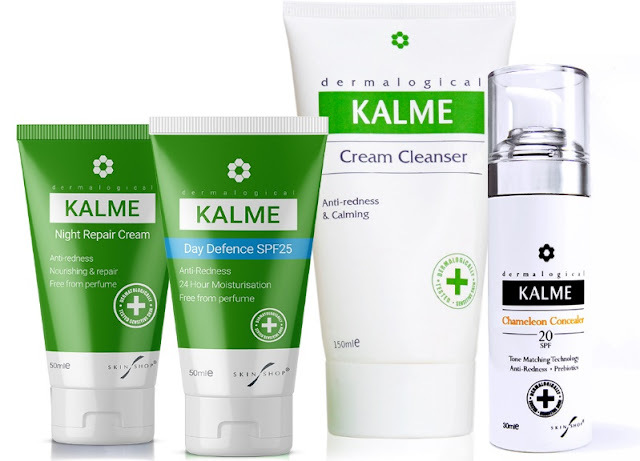 Kalme is a range of skincare especially for people who have Rosacea, you have to complete all the steps in the skincare to get the best results and before I started the prescribed skincare it certainly seemed to work on reducing a little of the redness, the chameleon concealer is a thing of genius, it mixes with your own skin tone or foundation to help cover the redness often associated with Rosacea. 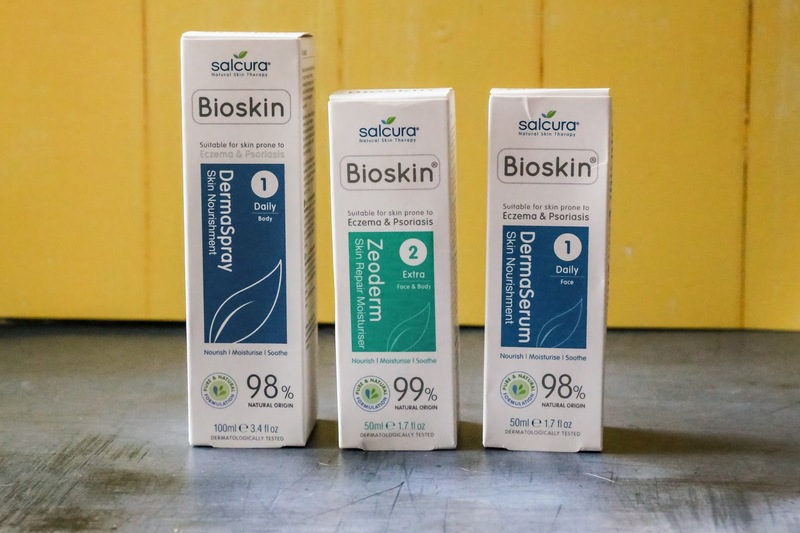 Salcura Bioskin is also a great choice not only for Rosacea but also for all kinds of skin issues which require some extra care, Looby has some scarring on her upper arms as well as having eczema so she's been using the body moisturiser and it really is helping. 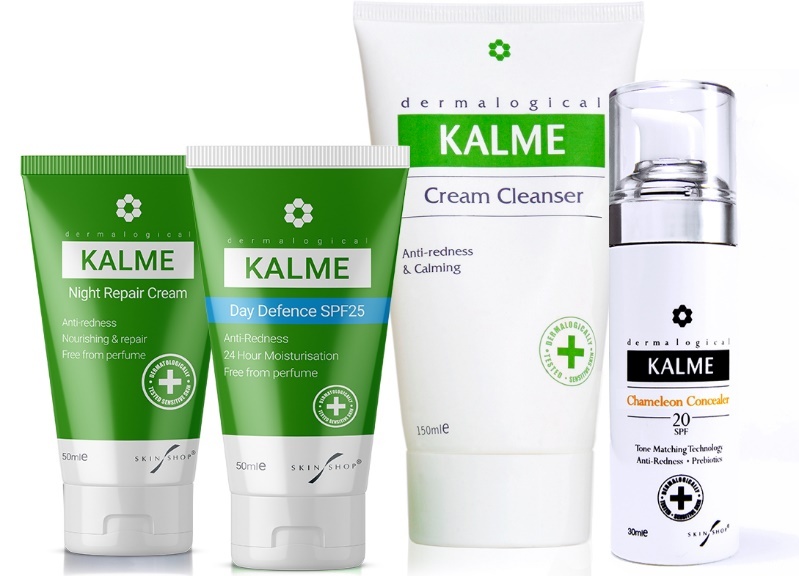 There's a full range to try on conditions like eczema and psoriasis and they also do a range for children. Eucerin was a brand I'd already heard of over the years and I have to say that I loved the anti-redness cream, it felt really nourishing and it has a subtle hint of green when it comes out of the tube which massively helps with redness. 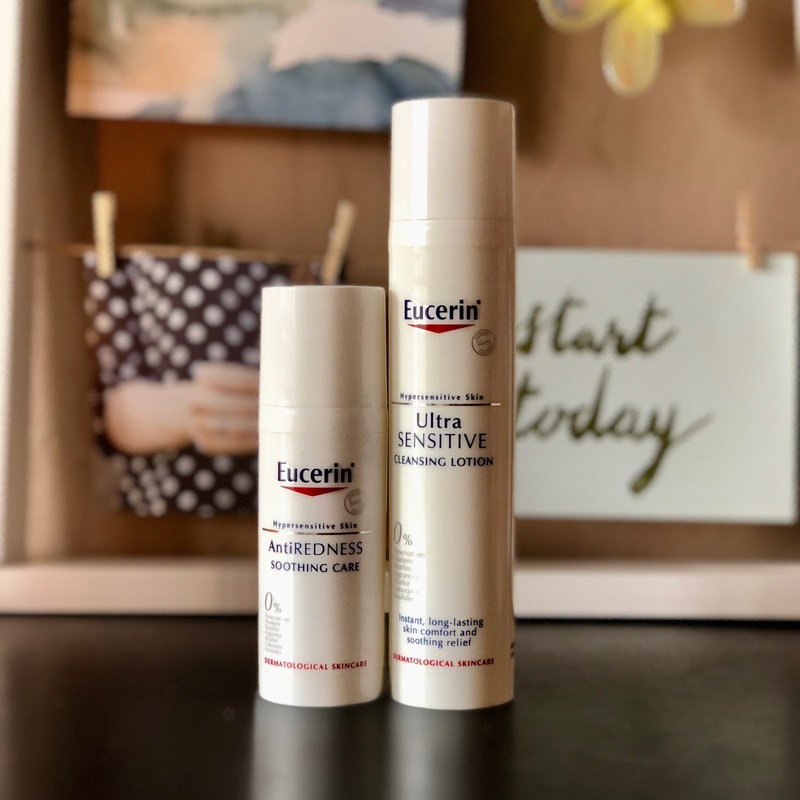 Eucerin do a whole range of honest skincare for specific requirements like ageing, or blemish prone skin etc. BRYT skincare is not only for people who have skin issues, it's also vegan, cruelty free, anti-ageing, comes in mens and women's ranges and it was the only skincare range I felt you could give as a gift, it's beautifully packaged and where as we sometimes have to avoid buying products you wear on your skin for those who have sensitivities, this stuff is perfect for everyone. 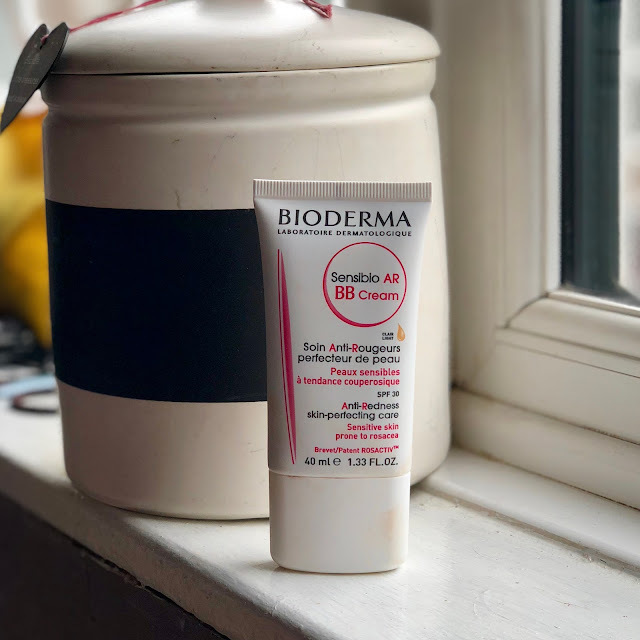 Bioderma sent me their Sensibio AR BB cream which protects skin, it's anti-redness and it's a BB Cream, not a full on foundation, I absolutely love the stuff and I'm wearing it right now! My skin is the softest it's ever been, it's less scarred and the redness and awful texture gets better with each day that passes. I want to write a separate article about the 6 steps I'm currently using but I'm so thankful, I can quite happily go to the local shop without makeup now without feeling that people will be repelled by my face, the aesthetics were just the first part, having good skin is priceless and so yes, Zo Skin isn't the cheapest option but it's given me confidence again and that's something that money can't buy! I want to thank all of the companies involved in this collaboration, each have their own specialities and I wouldn't hesitate to recommend any of them.